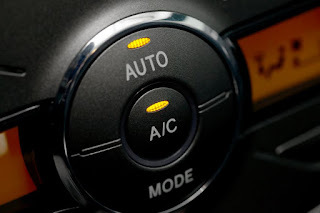 As it heats up outside, drivers rely more and more on the functionality of their air conditioners in their vehicles. Whether you’re driving across town, or across the country, to stay comfortable this summer, we recommend that you check your AC before you head out. Melloy Dodge offers these tips so you won’t be left sweltering in the heat! To cool the air in your vehicle, your air conditioner needs sufficient refrigerant. Typically, refrigerant should be added every few years. If the refrigerant level in your system is low, schedule service with the Melloy Dodge Service Department! Your vehicle’s air conditioner wouldn’t be able to circulate cool air without a system of interconnecting hoses, they’re essential to the functioning of your AC. Leaks and cracks in these hoses prevents your AC from working properly. To prevent problems, regularly inspect your system’s hoses. If your air conditioner is weak or giving off an unpleasant odor, you may need to change your filter. Check your vehicle’s owner’s manual to see when the manufacturer recommends switching out that filter. Drive comfortably this summer, and make sure your air conditioner is working properly before you embark on a trip. If you think there’s something wrong with your AC, schedule an appointment with Melloy Dodge. Our Service Department has convenient hours and will get you back on the road in no time!